In this advanced photoshop cs tutorial we will create dark punched out embossed text layered on top of blue a blue material surface. 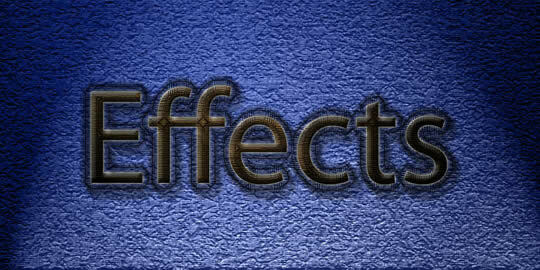 We will use photoshop text effects with blending options, photoshop filters and blurs to create this effect. 1. 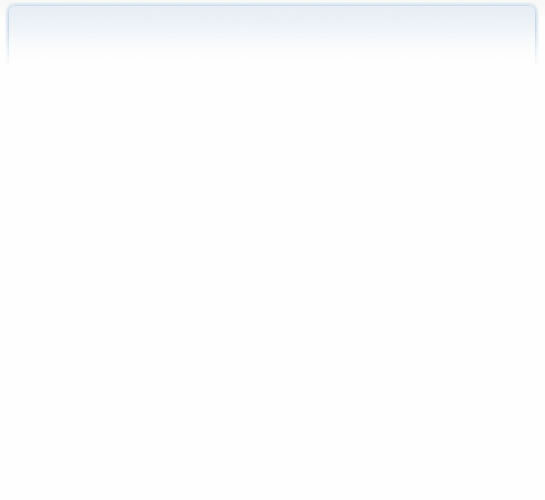 Create a new 800x400 RGB file with white background and create a title using black text. 2. Rasterize the layer and then load it selection. 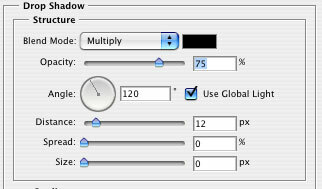 Do this by selecting the layer then go to Select > Load Selection and select the Rasterized layer. 5. 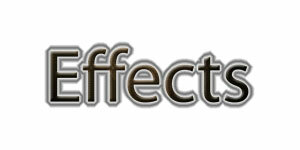 Filter > Texture > Texterizer - Use the Texterizer pattern with values 100 and 4. 6. Load the Selection again and go to Filter > Render > Lighting Effects and use Spotlight. 7. 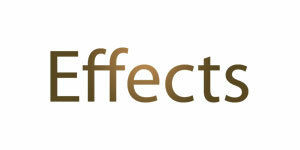 Use a Inner Bevel effect on the layer with the following options. 8. Load the Selection again, go to Select > Modify > Border and use value of 16. 9. Then go to Edit > Stroke and use value of 2. 10. Now go to Filter > Sharpen > Sharpen More. Do this a total of three times. 11. Apply a drop shadow to the stroke with the following values. 12. Go to your background layer and apply a Radial Gradiant. Color 1: #354b9a Color 2: #111f52 and duplicate this background as you will be working on the duplicated layer from this point forward. 16. Filter > Renger > Lighting Effects and use the style Crossing. 18. 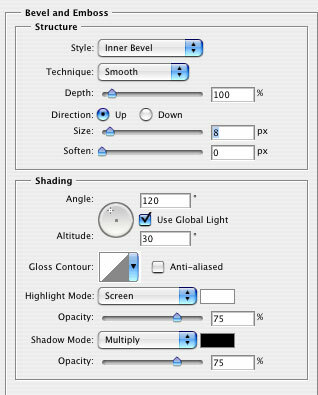 Apply an outer glow with default settings.